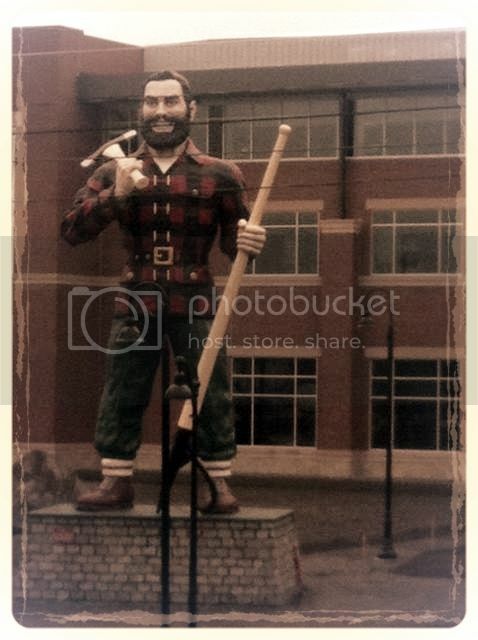 Me: I want to take a picture with Paul Bunyan! Me: What does Paul Bunyan do? He has an ox or something? Me: And he, like, tells the truth? Justin: Uh, no. That's Abe Lincoln. Hey! Are ya'll on twitter?? Guess what?! So is Newlyweds:North! So follow me...or I'll judge you. Openly.